It’s always a great thing to think back on a music group you have enjoyed and remember when you only thought you would see them on YouTube, but never face-to-face. 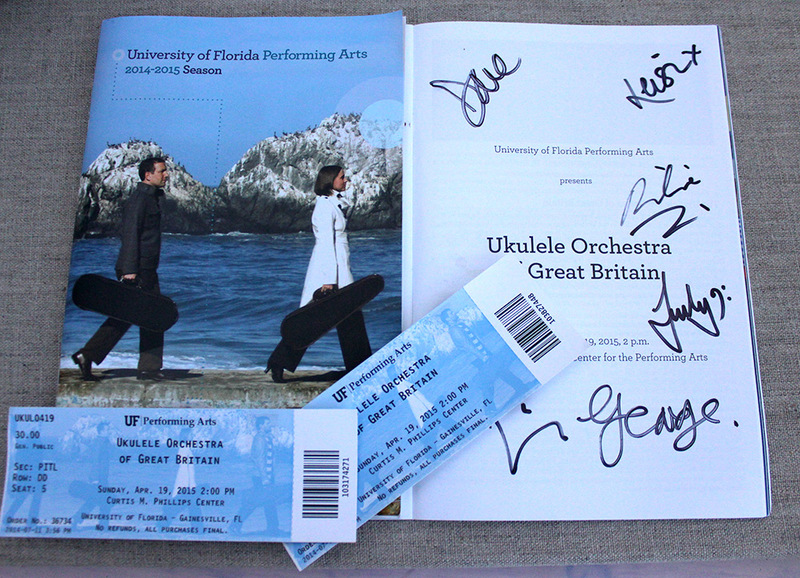 About six years ago, I watched every YT of the Ukulele Orchestra of Great Britain and thoroughly enjoyed it. Now, I can say that I have seen them twice in performance in my hometown and this year, they are celebrating 30 years together. On Sunday, the Ukulele Orchestra of Great Britain was lively and entertaining as usual for two hours. There’s more detail about the concert on judyrobinsondesigns and a different set of photos. Ukulele Wood Pin similar to the ones given to the Ukulele Orchestra of Great Britain. Richie playing with steel strings, George looked at me quizzically and said, “You could tell that?” Of course I could. My seat was on the third row in the orchestra pit. And I enjoyed every bit of watching facial expressions and watching them play those ukuleles! Since last time they visited Gainesville they had no time to get out and see an alligator (which is a common reptile in our environment), I decided to send back a small token of Florida wood with them. 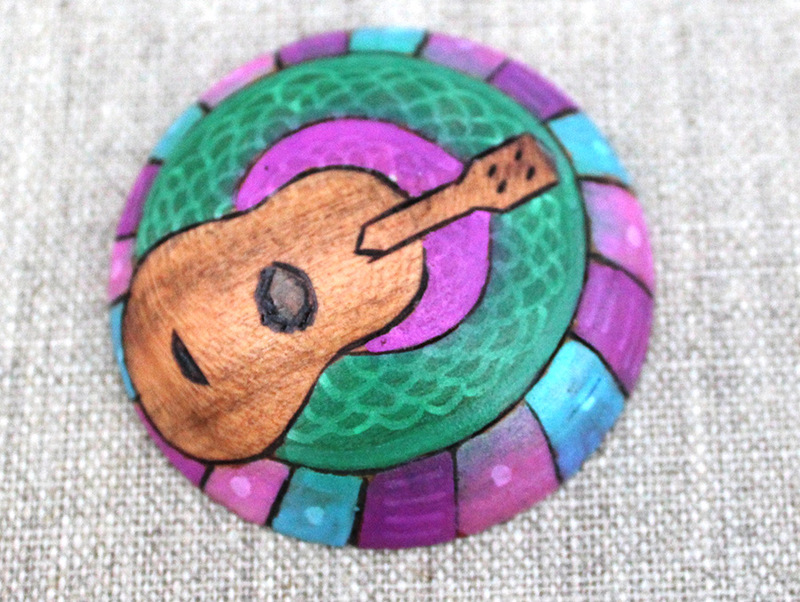 Using Florida cherry wood, I wood turned small pendants and then wood burned ukuleles on them. Then adding some color, I left the ukulele to let the natural wood shine through. If you’ve never heard the Ukulele Orchestra of Great Britain, you might have a chance now. They are on tour in the USA during April. I’ve written more about the Ukulele Orchestra’s Tour on my other blog. What I didn’t write about on my other blog, however, is that I am taking a couple of my ukulele necklaces to give Kitty and Hester. I’ve been creating these ukulele necklaces for special occasions — and certainly a chance to get to meet these incredible players is a special occasion. So on the chance that they are somewhere afterward doing the signature thing, I’ll have a couple. The wood ukulele pendants are made from a variety of woods (cherry, hickory, basswood, poplar, and sycamore). The book is 99 years old but it has solo ukulele pieces that will make you the most dextrous of all ukulele players. Read more about the ukulele solo book, which has links to free pdf samples of a few songs from the book and a link to purchase the book. Check it out. 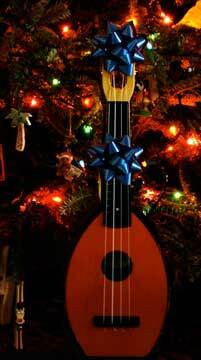 If you have played the ukulele for a few years (let’s see, it’s 7 for me, having received my first great ukulele for Christmas in 2006) then you know there is a certain amount of intrigue to learning new instruments. Certainly not to replace the ukulele, but to add to your enjoyment of music. One of the instruments I have added to play with the ukulele is the Native American style flute. An unlikely combination, you say? Not really. Both wood Native American style flute and 4-string ukulele are very portable instruments. Both are very natural sounding. 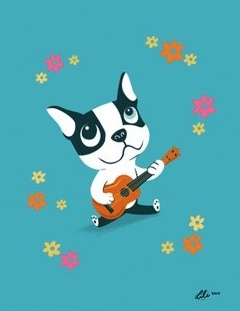 The ukulele is versatile in the styles of play — moreso I think than the guitar. But that is my bias. 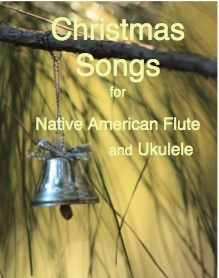 If you are looking for something to try with your ukulele, try the pdf ebook Christmas Songs for Native American Flute and Ukulele. The songs have chords that will sound good with the six-hole A minor Native American flute. 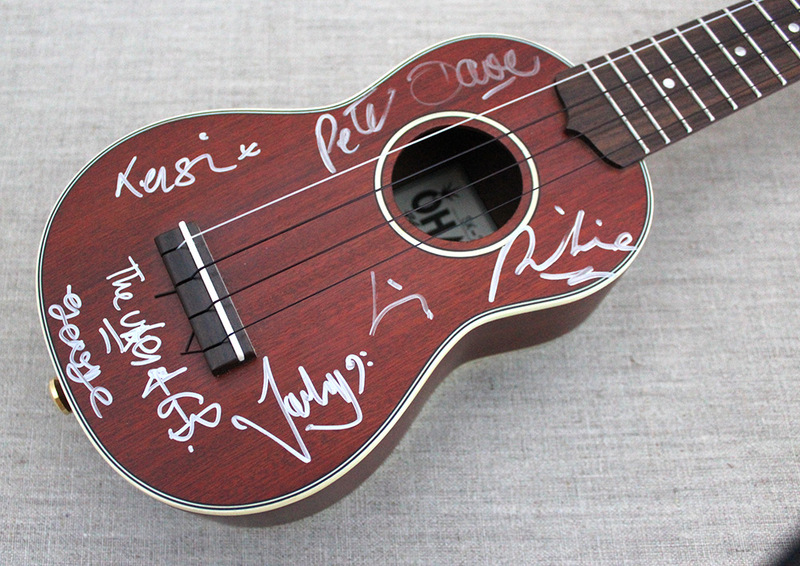 Your ukulele is tuned G-C-E-A. Both chords for the ukulele and finger diagrams for the flute are in this book. Finger diagrams show you exactly which holes to cover to get the right note. You don’t have to read music to play. You read pictures. This is coming up on May 10, 2013 — check your local listings and settle down with the popcorn. Wow. It looks like Joker CGB at Box Heads United has solved his mystery about the Oliva cigar box ukulele that he found on the wall in a lodge. But there’s still one more mystery. 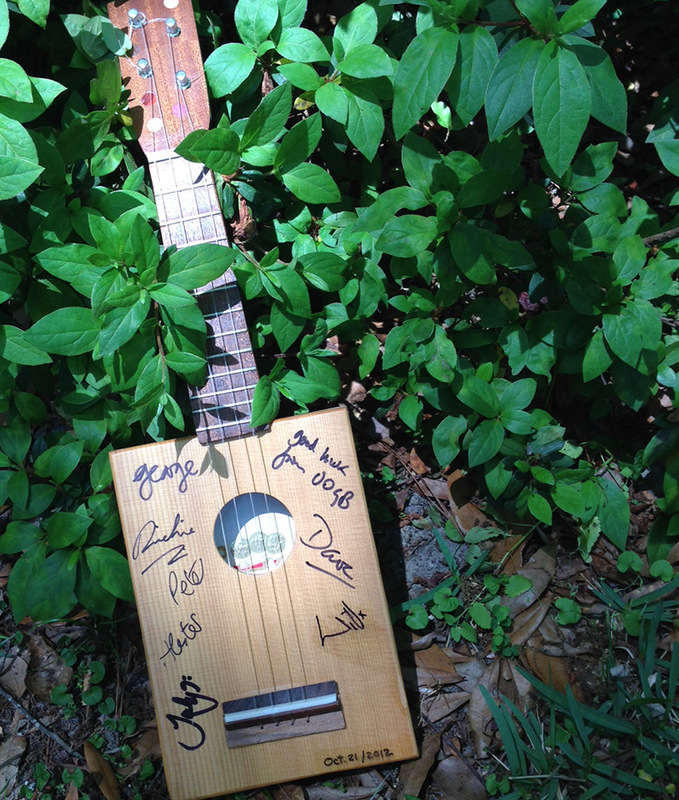 Where in the world is the Oliva cigar box ukulele? You, dear reader, first met the Oliva cigar boxukulele in 2010 when I told you I was taking her (b. 2009) to the top of a mountain to leave.